This past Thursday (Oct. 29) Levi’s and acclaimed artist/designer Shepard Fairey launched their collaborative limited edition collection. The Obey x Levi’s collection apparently boasts two pairs of denim (511 & 514 cut), two denim jackets (one of which is below), and a mess load of tops (a flannel, and some tees). And get this…price-point: $34.50 – $148! SAN FRANCISCO (October 19, 2009) – This October, the Levi’s® brand – the name responsible for the invention of the blue jean – continues its ever-evolving relationship with acclaimed street artist Shepard Fairey by unveiling Obey x Levi’s®, a collection of co-designed, street-inspired styles for men. Obey x Levi’s® is a celebration of the renegade spirit embraced by both pioneering partners and features denim silhouettes, distress details, and finishes inspired by Fairey’s personal collection of Levi’s® jeanswear and collaboratively developed by Levi’s® and Fairey. The highly collectible Obey x Levi’s® capsule collection will be carried exclusively at select Levi’s® Store locations in New York City, San Francisco, Chicago and Santa Monica and at http://www.levi.com. It will be available beginning October 29 and will range in price from $34.50 to $148. To commemorate the launch of the collection, on October 29 Fairey will unveil a series of four new poster designs at a live art installation outside The Levi’s® Store in New York City’s Times Square. Once Fairey completes the installation, he will meet-and-greet event participants while autographing free museum-quality reproductions of his new posters. NYC — After a brief hiatus, the iconic premium denim giant, Evisu, has returned to reclaim its niche in the evolving denim market. Under the creative direction of Scott Morrison (see Earnest Sewn, Paper Denim), Evisu has re-branded itself, taking interest in new washes and deconstructed materials while maintaining its classic values. Beginning in November, Evisu will launch a new product line exclusively at Barney’s. The release will include 3 collections, prices ranging from $150 – $700/pair: Evisu Genes, Evisu, and Private Stock. u|T|ø says — This is one of those moral connundrums. On one hand, Evisu is a GREAT brand. The majority of their products have excellent craftsmanship! One of our Editors owned a pair of Evisu’s (that’s what we called them back in undergrad) that, when worn, made everybody want to burn their denim on site. BUT, fast-forward to now…with competitive brands producing premium denim (i.e. A.P.C., G-Star, Citizens of Humanity, 7 for all Mankind), just as well-crafted, just as alluring, what makes the NEW and IMPROVED Evisu stand out? Back for the FIFTH time, Levi’s has teamed up with designer KAWS to bring us Urban Grads a Levi’s x Original Fake mash-up. 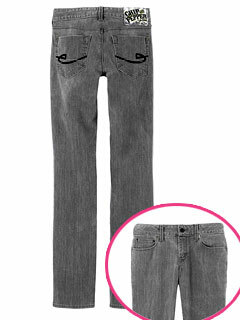 The line features the infamous “chompers” on the back pockets of the re-edition of the 1947 and 1955 Levi’s 501 models. There is also a much baggier cargo pocket jean that was inspired by the Original Fake line. If I had to have anything more on my back pockets then this would be it. The teeth don’t overpower the back of your jean. They are a nice statement piece that say “this is a pair of Levi’s“…but something more. These limited edition Levi’s can be purchased at Colette’s…if they aren’t already sold out. Warrior chic really got its push from the gladiator sandal, however…the designers over at Acne Jeans decided to take it one step further. Their Spring/Summer 2010 skinny denim line features metallic plates or armor fashioned along the thigh, knee, or shin of the pant leg. We’re not sure whether the inspiration behind this is Joan of Arc, Xena – Warrior Princess, or that Beyonce robot suit (designed by Thierry Mugler), but…yea — to each his/her own. What do you think about Acne Armored Jeans? 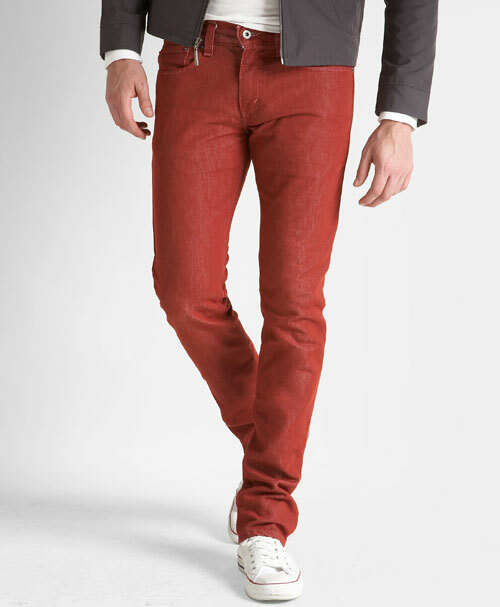 Apparently colored denim has been awakened from it’s deathly slumber by radiation from a fallen satellite. Or was it from deadly gas released from a medical supply warehouse? Wait, I know what it was…celebrities like Rihanna and Fergie were spotted wearing colored denim jeans. Colored denim is cool but you have to know when to relax. We are in the Fall season so it’s time to tone down the brightness for richer colors. Upon popular request I have been asked to explain certain “dynamics” of women’s jeans. I’m sure a lot of Urban Grads have noticed that girls have just gotten waAay more curvy. It’s rare you see a woman in those “Wal-Mart cubby” jeans that make their rear end look like it’s four feet tall (unless they are just really, really old school or a senior citizen). That’s because women’s jeans have become a frickin’ science. WARNING: This post may either give girls who want to appear more curvy hope OR make them more self-conscious about the jeans that they buy. 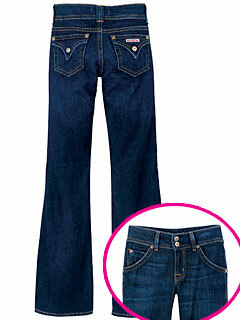 These particular pairs of jeans have curved, button flap pockets. The curved pocket gives the appearance of roundness; while the buttons add volume. These two features together give the appearance of a more curved bottom. These trousers have angled pockets flaps which give the appearance of roundness to an otherwise flat rear. 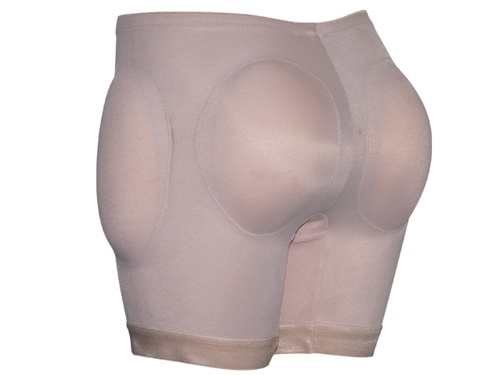 Actually, curved seams have always been used to give the appearance of a rounder figure. These work because the waistband on these jeans goes up slightly in the back, adding a lifted look the seat of these jeans. …Keep your love locked down and scream NO NO, NO, NO NO to this God-awful contraption. P.S. small behind = jeans with small pockets; larger behind = jeans with larger pockets.